When we think of homeless pets it’s often dogs and cats that come to mind. But according to the Avian Welfare Coalition (AWC), each year thousands of birds are displaced simply because their caretakers can no longer provide the time and attention they require. January is Adopt a Rescued Bird Month and a great time to remind anyone thinking about adding a bird to the family to open their homes to a rescued bird. It’s also extremely important to adopt as many bird species are under severe threat of extinction because of the pet trade. They include thousands of birds in South America and an estimated 3.33 million annually from Southeast Asia. Do lots of research before deciding on the best species of bird for your household. A good place to start is by reaching out to a local bird club. Many clubs like the Real Macaw Parrot Club in Paramus, NJ meets monthly and members are more than happy to share their expertise about all species of pet birds. Many people take on birds without realizing the expenses involved. In an article titled “Cost of Owning a Bird: Setup, Supplies and Veterinary Care,” posted on Doctors Foster and Smith peteducation.com, pet owners are reminded that the cost of owning even small birds can quickly add up. If you adopt a cockatiel or parrot, they require a larger cage, more food, more durable toys and more of your time. Birds will require routine veterinary exams, which may include vaccinations, clipping wings, beaks and nails. The cost of veterinary care will depend on the type of bird. Do you and/or your family have time for a bird? According to the AWC, each year thousands of birds are displaced simply because their caretakers can no longer provide the time and attention they require. This happens either because the bird owners are not educated about the commitment involved in caring for a bird or their lives or interests change. You will need to set aside enough time for daily and monthly cleaning routines. Also, remember that birds are social smart animals and cannot be left in a cage and ignored. 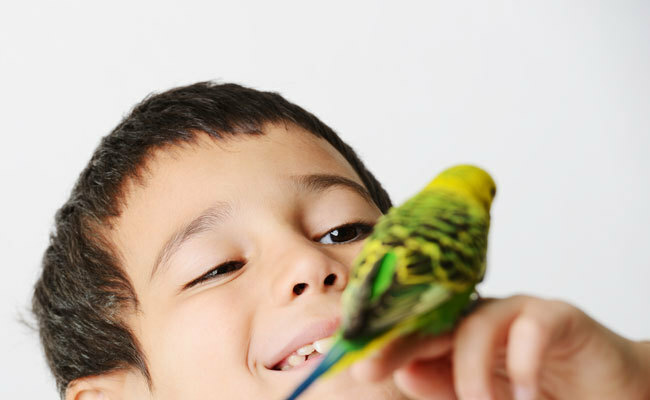 You will need to set aside time every day to interact with your bird. 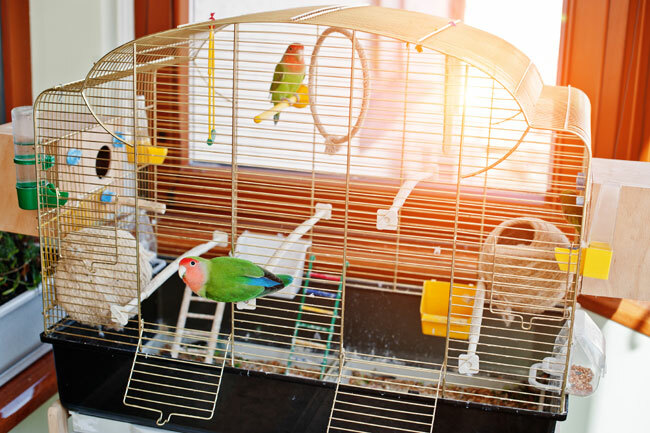 Pet birds require specialized care, and it’s not always practical to take them along on vacation. Who will take care of your bird while you are away? Consider what exactly you are looking for in a bird. Would you prefer a species that sings or talks or are you more interested in getting a quiet bird? Keep in mind that the exotic larger birds are more demanding and can be intimidating for inexperienced owners. Also, remember that many of the larger species can live 40-80 years. If you choose one of these species you will need a backup care plan in case your bird outlives you. Does anyone in the family suffer from allergies? If so, you might want to steer clear of cockatiels, cockatoos and African grays because they produce a good deal more fine dander than other birds. What type of work schedule do adults in the family have? Will someone be trying to sleep during the day? If so, you need to take that into account when choosing a bird as some are louder than others. Once you’ve done your research and decided on the best species for you, Petfinder.com is a great place to begin your search. A recent search of shelters and rescues in my geographic location brought up a total of 143 birds in need of homes. They included an orange wing Amazon parrot, a pair of lovebirds, a cockatoo, a macaw and several cockatiels. Local bird clubs are also a good place to get leads to reputable bird rescues. Remember that birds are expensive, messy, not a one time amusement, and some live extremely long lives.